Back to school day is fast approaching in Australia. 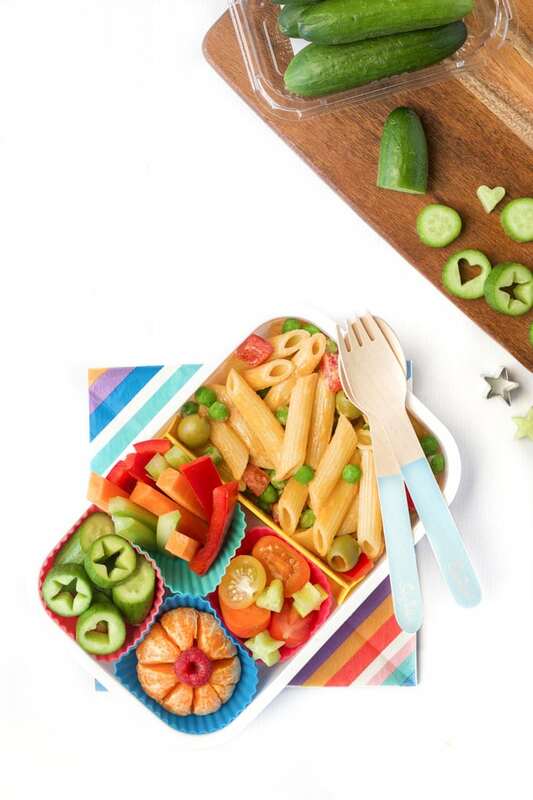 As well as getting uniforms, shoes and stationery together everyone is looking for healthy lunchbox ideas. Many parents dread this; when they are eaten five days a week lunch boxes need to be quick to prepare, healthy and appetising for the kids. 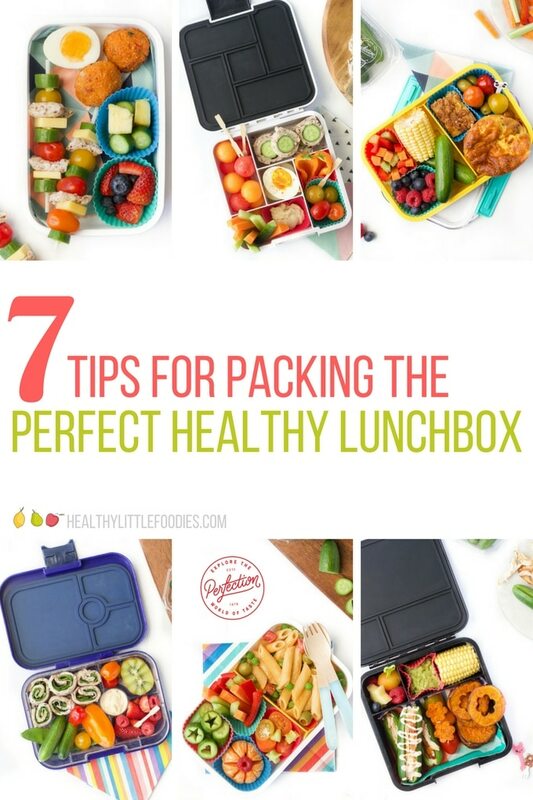 Here are my top tips for healthy lunchboxes; the prep is streamlined and they get the thumbs up from my kids! Disclosure: I have been compensated for my time spent on this post from Perfection Fresh, but as always my thoughts and opinions are honest and are my own. I find Bento boxes invaluable. The sections allows for a variety of fruit and vegetables and even a dip to keep everything interesting. 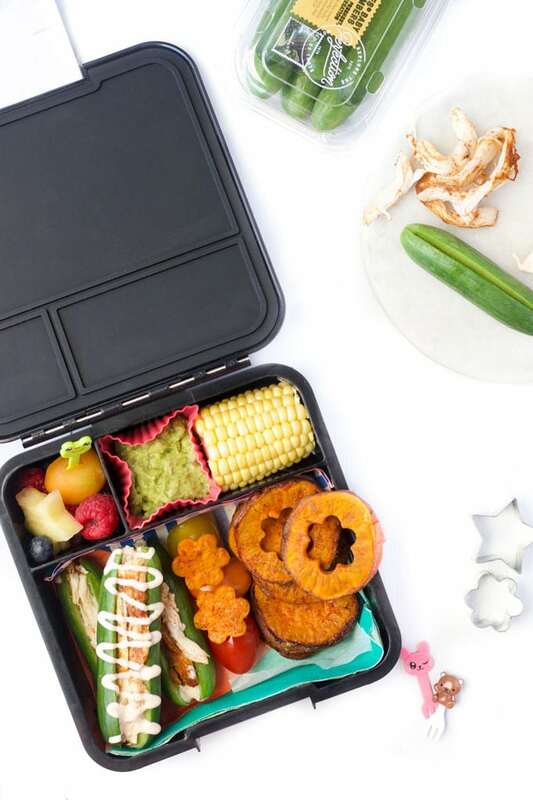 If you don’t have a Bento style lunch box just divide up your kid’s lunch box with silicon patty pans. As mentioned before, I like to include a range of fruit and vegetables in my sons’ lunchboxes. I stock up with fruit and vegetables that require no prep – such as Qukes®, celery sticks, mini carrots, cherry tomatoes, mini capsicums, berries and plums. 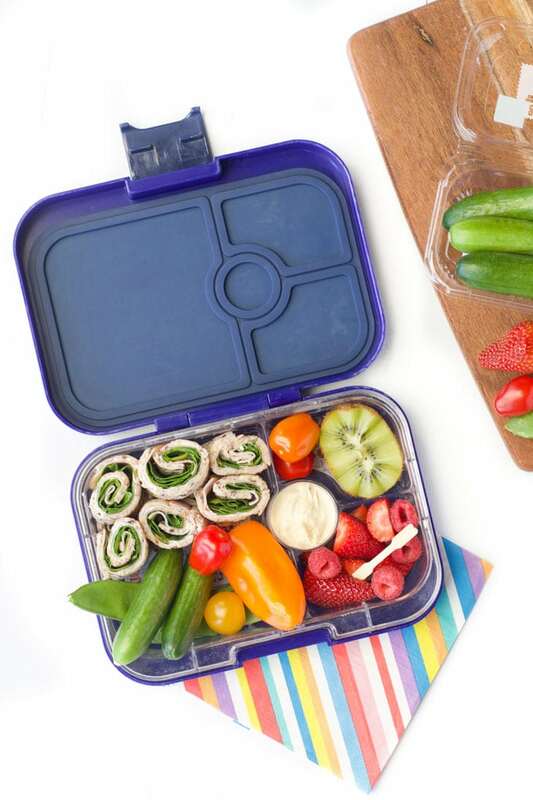 Use these and the lunch box is half filled in no time and you are well on your way to meeting the 5:2 vegetable and fruit target. What about a dip for these veggies? That always makes things more interesting. Stock up with Greek yoghurt and use this as a base, then add herbs or lemon zest and juice topped with paprika. Adding Qukes®, baby beets, mayonnaise or cheese also revs up the flavour. Leftovers are your friends, some foods are great cold the next day! 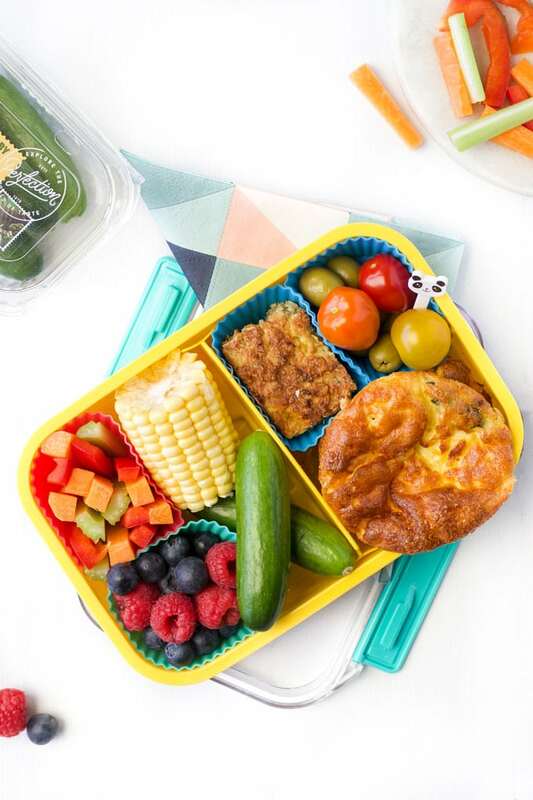 Why not fill a section of the lunch box with left over quinoa, pasta, roasted vegetables or shred leftover chicken and pack it into Qukes® or mini capsicums for a surprise bite. I love my freezer and it’s always stocked ready for the morning grab and dash. My favourite lunchbox friendly recipes usually can be frozen. Why not try my quinoa balls, bliss balls, oat bars, mini crustless quiche, rainbow fritters, pea pancakes or chicken meatballs. 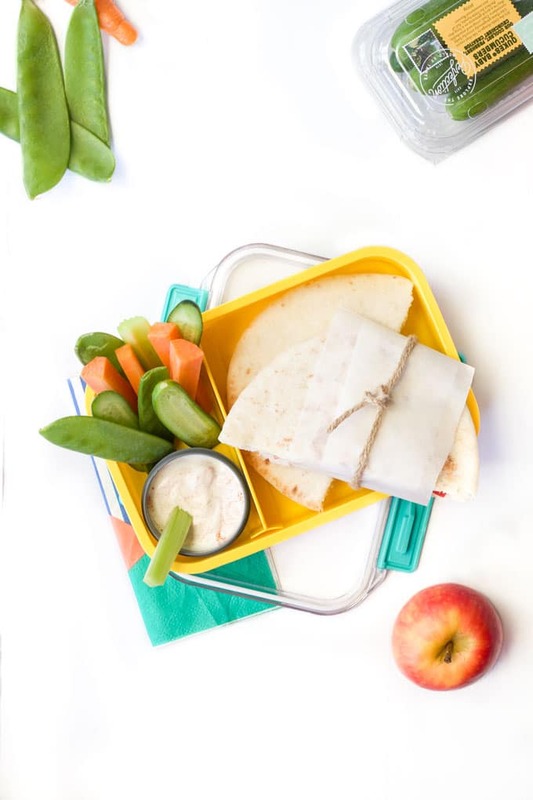 Lunchboxes and sandwiches go hand in hand, but they can become a bit boring. A quick way to make them fun is to roll them into sushi style bites. Pictured is a combination of ham, cream cheese and Qukes®. Another favourite is sandwich kebabs; they are just a little bit different. You could even try using cookie cutters to make different shapes. The kids could get involved with this one when preparing the lunch boxes in the evening. The health experts are always telling us to eat a rainbow. This is to ensure that we get the full range of vitamins and minerals and luckily kids love colourful things. 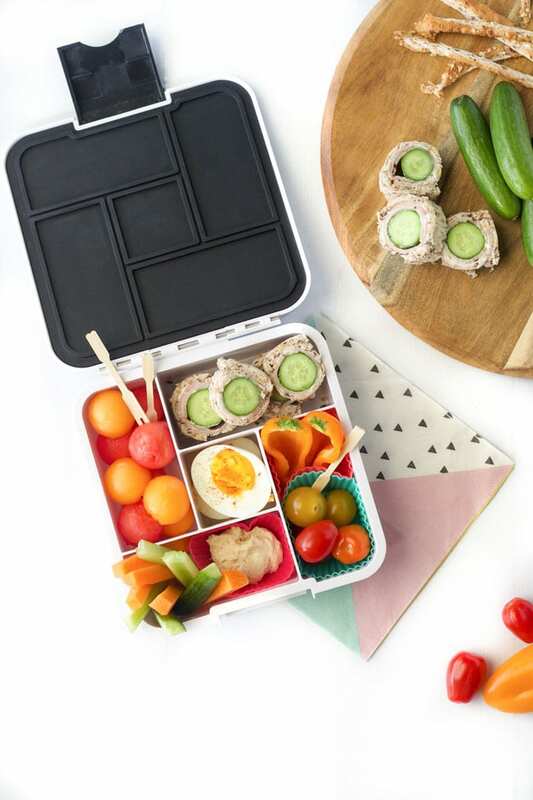 The Bento box makes it very easy for you to create an appealing, colourful lunch, or for another way to brighten the lunch box you could try making fruit or vegetable kebabs. Think ahead, be prepared, make it colourful and interesting. Above all make it easy for yourself. 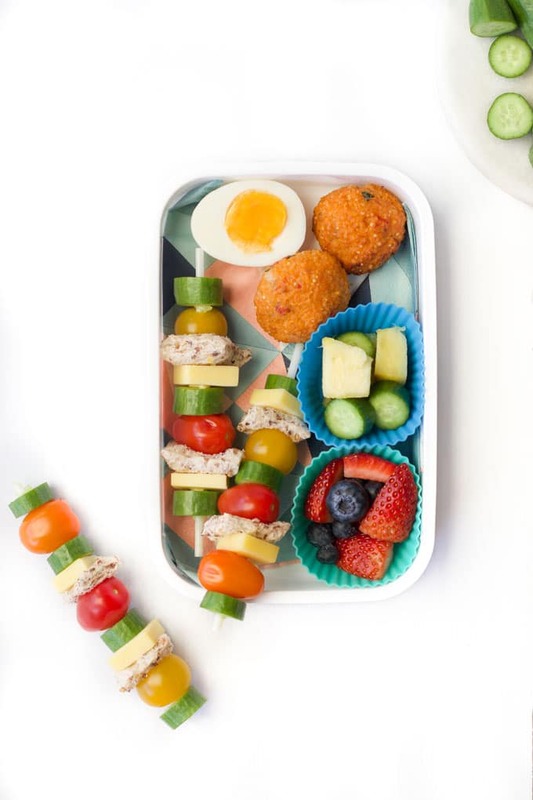 If you are looking for more healthy lunchbox ideas, head to my Lunchbox Section for more ideas. Have you found any of these tips useful or do you have any tips to share? If so leave a comment or tag me on Instagram or Facebook.